The DreamWear Gel Pillows Mask with Headgear has a remarkable design that directs airflow through the frame so patients can sleep comfortably. 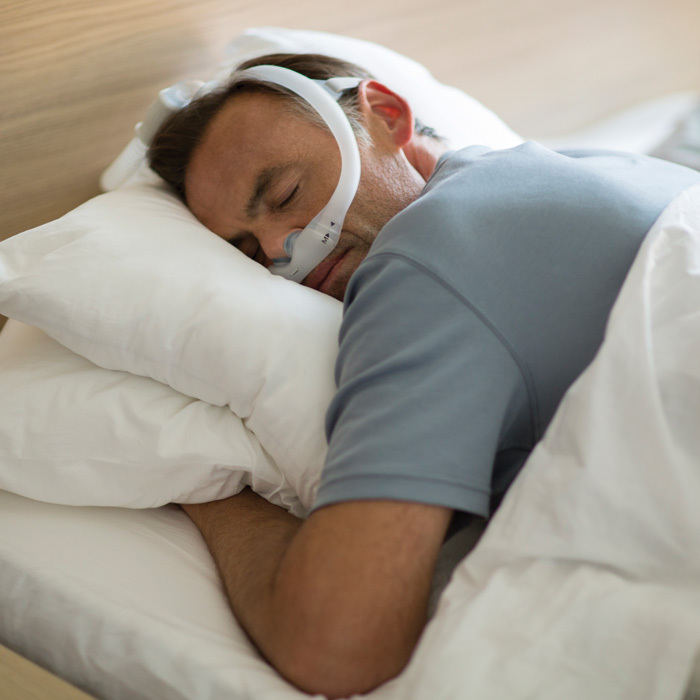 With the tubing connection located at the top of the head, patients can sleep in any position they desire - on their stomach, side, or back. The mask is available in several size configurations to help better fit a wide range of users. 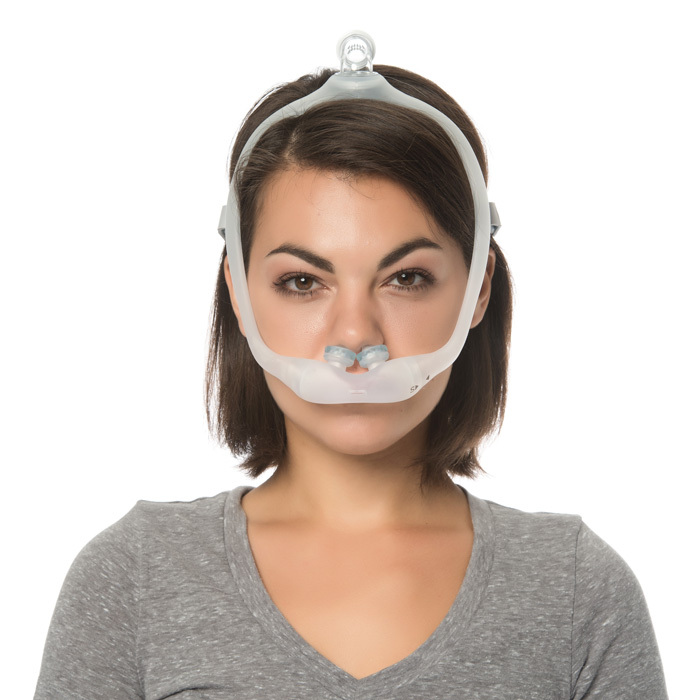 The DreamWear frame is designed to allow airflow to pass through it to reach the nasal pillows. 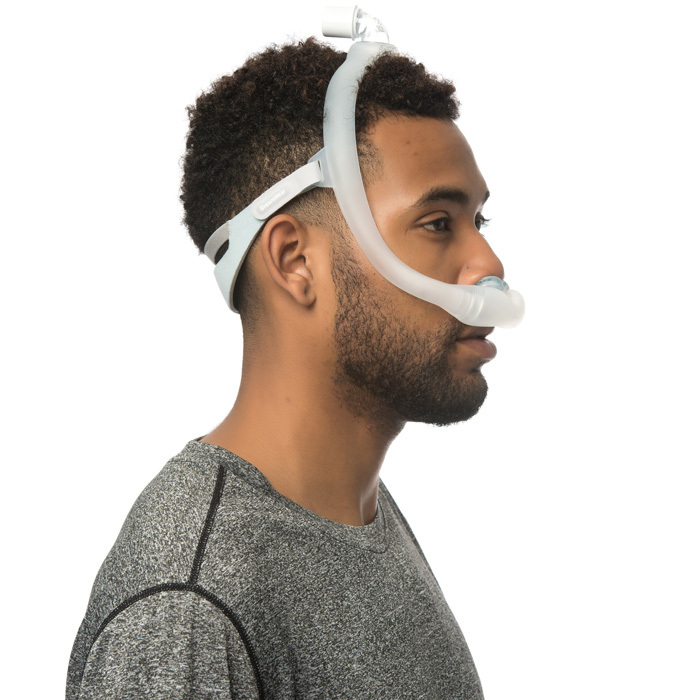 The frame is a single piece with connections for the hose elbow, headgear, and nasal pillows. If one side of the frame is closed by being laid on, the airflow can pass entirely through the other side without negatively affecting therapy pressure. The DreamWear frames and nasal pillows are interchangeable, so any size frame will fit any size nasal pillow. The DreamWear Gel Pillows Mask is available in multiple size configurations to better fit a wide range of users. The frame is available in three sizes: small, medium and large. Most users will find the medium frame the best fit. The nasal pillows are available in three sizes: small, medium and large. 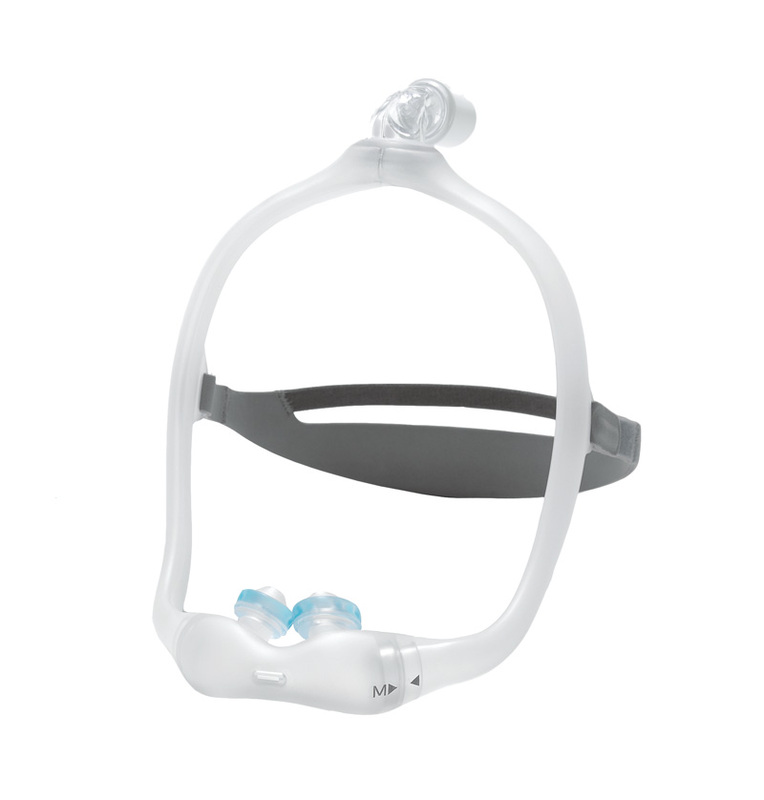 The frame and nasal pillow sizes are interchangeable so that any size frame can be used with any size nasal pillows.